The knowledge economy has concentrated skilled people in large cities such as Melbourne. This has meant such cities take most of Australia’s jobs, leading to what has been dubbed “agglomeration economies” – where knowledge and production flow easily between firms and people as they cluster near one another. Australia’s population clock ticked over to 25 million last night, and it’s easy to see why most of this number are living in the bigger cities. Of course, the bigger cities are also more attractive, and the cycle continues. They keep growing at the expense of smaller regional cities. For a long time now, there have been calls for a national policy to ensure a more equitable distribution of the population across cities of all sizes. Governments can take some lessons from policies in Australia’s recent history, as well as those of other countries, that have aimed to address similar issues. In the 1950s and ‘60s, Sydney’s congestion and pollution problems caused the state government to implement a decentralisation program. Under this policy, manufacturing companies were given financial incentives to set up in country towns. The program achieved fairly modest success but came to an end in the early '70s. This was when tariff walls fell and the local manufacturing sector succumbed to competition from East Asian production. The Whitlam government implemented a cities program in 1973 to entice people out of the bigger cities. The program allocated funds to develop new cities with 100,000 to 250,000 people such as Albury-Wodonga. Research at the time had indicated this was the optimum population size for a city. This program was axed by the Fraser government, which saw the land and infrastructure developments in the smaller cities as too costly. And there were no compensatory new jobs – especially in manufacturing. Smaller cities need to be decently sized if they’re to provide a level of services and jobs with which to attract people from the larger cities. This is reflected in Victoria’s current 30 year development strategy, which promotes the growth of Geelong, Ballarat and Bendigo through good rail services to Melbourne, as well as relocation of state government functions. Each of these cities has a big enough size (approaching 100,000 or beyond) to support an attractive level of services. And they’re also close enough to Melbourne to allow commuting as a supplement to local jobs. Metropolitan growth is outsourced to large, nearby urban areas in other states. Cities such as Wollongong, NSW and the Gold Coast, QLD take some of Sydney and Brisbane’s spillover. This could be extended to Newcastle and the Sunshine Coast with better rail connections. But such rail services require significant government subsidies, even though they offset congestion costs in the major cities. And it’s not the whole answer. Even the favourable geography of Victoria’s provincial cities has by no means reduced Melbourne’s growth problems. Globally, policies aiming to reduce the dominance and growth of major cities have focused on building large city alternatives. One policy available to every country is to relocate its national capital when it has become too big. In the mid-20th century, both Brazil and Tanzania followed Turkey and relocated their capital cities inland to reduce the dominance of the major coastal cities. More recently, Nigeria and Kazakhstan have both established new capital cities in the centre of the country to draw growth from the previous capitals. Brasilia and Ankara have developed into major metropolitan areas in their own right, though this has not yet happened in the other new capitals. The UK and France are both attempting to create large metropolitan areas in the regions as counterweights to London and Paris. In the UK, regional development policies in the 1960s and 70s, including relocation of offices from London, failed to stem the capital’s economic dominance. The latest attempt is the Tories’ policy, known the Northern Powerhouse. This is conceived as a collection of northern English cities, from Liverpool to Leeds and Sheffield, that would be stimulated by new transport connections, reallocation of science funding, devolution of central government, and arts and culture projects. But this has been critised as geographically fuzzy, insufficiently funded and generally a “mess”. France has taken a similar approach to actively support major urban “agglomerations” such as Bordeaux and Lyon. China has active policies to reduce the growth of the super-sized or tier-one cities (Beijing, Shanghai, Shenzhen and Guangzhou) and promote tier-two and three cities, all of which have a population of more than one million. Registration for those moving into lower tier cities, which gives access to various social services, has been relaxed. Connectivity to lower tier cities has been enhanced by investment in high speed rail and airports. And new rail links to Europe under the Belt and Road Initiative have helped tier two inland cities such as Wuhan and Chengdu. 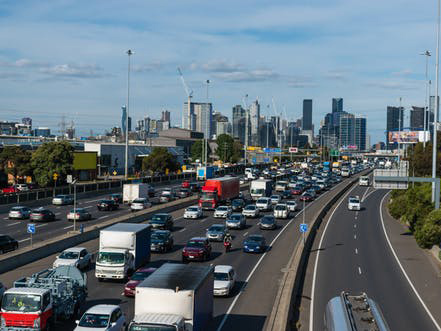 It’s clear the modern economy requires alternatives to Australia’s big cities to pack sufficient punch if they’re to really compete with the metropolitan areas. Building up large new cities from scratch, as we tried to do in the ‘70s, is too expensive and risky. We should focus on the few large alternatives we already have to the big four cities. This means Adelaide and Canberra, in particular, should be considered for more rapid growth. Adelaide’s 30-year plan for urban growth envisions nearly two million people by 2045, and there would be advantages for the nation if that mark were reached sooner rather than later. But that would perhaps require other states to give up a bit of their own growth – something which may not be an easy sell to the state governments.